I live in a small village in Untertaunus between the beautiful Hessian capital Wiesbaden and Limburg an der Lahn, surrounded by fields, meadows and forests. For me and my dogs an ideal starting point for excursions through the wonderful nature of this low mountain range landscape. Thanks to my parents I was allowed to grow up with animals. Already in this time my continuing love for the dog was born. A life without animals is unthinkable for me. I came upon the Ridgeback through my first own dog, an alleged hybrid of this breed. Until then, I hadn't heard from the red hunter with the trademark of a ridge or back comb. But at the latest when I became more involved with the breed and saw the first Ridgeback in Natura, it had happened to me. His beauty, elegance and sovereign nature had impressed me so much that the desire for such a dog had arisen. It still took six years until Bwana, the first Ridgeback, moved in with me. About two years later Shane followed and with him the beginning of my breeding activities. In 2016 I decided to go new ways in breeding. So Musha, born in the Dutch Kennel Zuva Redu, came to us at the tender age of 15 weeks. 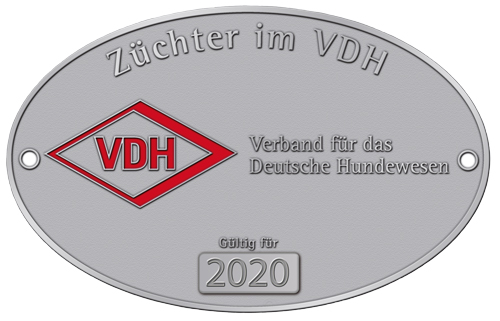 The valuable expert knowledge and the experience, which I already acquired as a stud dog owner, benefited me with my new project. 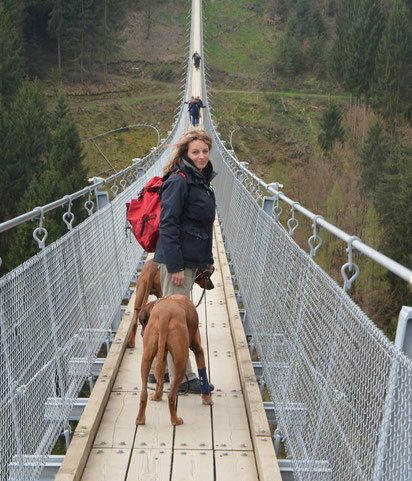 Right now, I live with three Ridgebacks. Bwana, Shane and Musha accompany me almost everywhere I go, whether it be Hamburg, Berlin, Amsterdam, we are together. Regularly you can meet us at the dog club grounds, where we participate in different activities. Fun is more important than success in sports. My internationally protected kennel was named after the Lion Sands Private Game Reserve, an area known for spectacular game viewing. 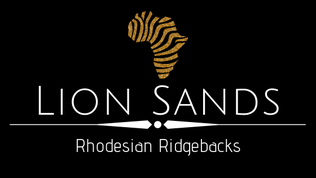 But what does the Lion Sands have in common with the Rhodesian Ridgeback? The beauty! 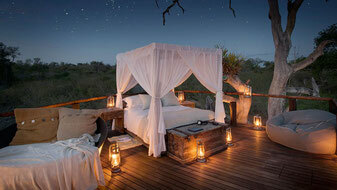 This reserve is one of the most breathtaking wildlife areas in southern Kruger National Park. Here you can experience the African savannah up close. The lodges are described as "elegant, naturally beautiful, a class of their own...". So what could go better with the Rhodesian Ridgeback? Get to know me and my dogs better on the following pages. I hope you enjoy it.